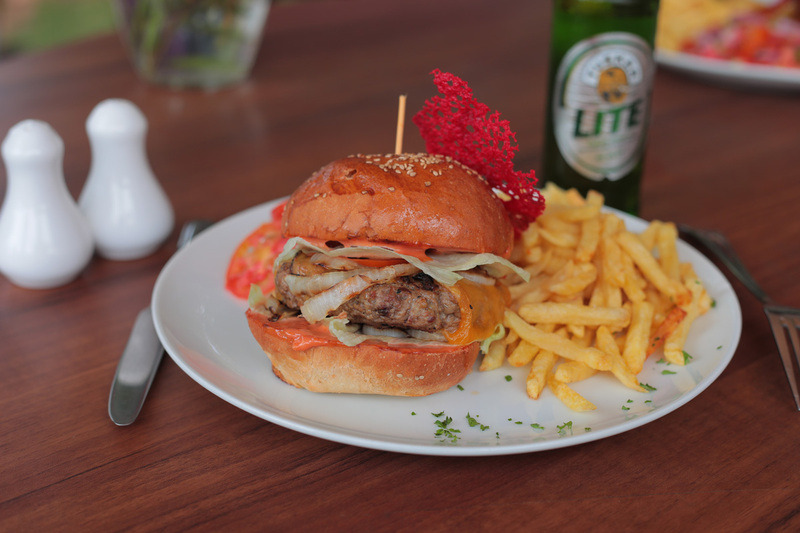 Grilled beef patty topped with onion tomato & lettuce. 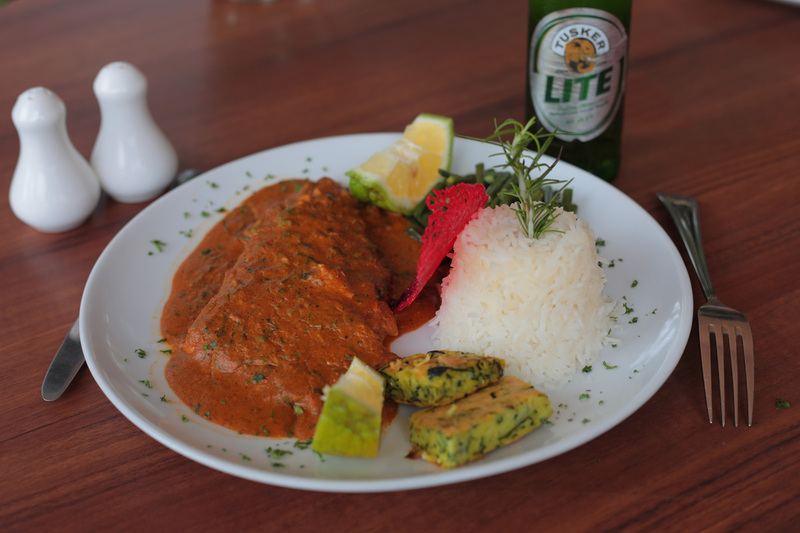 Fish marinated with indian spices cooked in brown butter gravy. 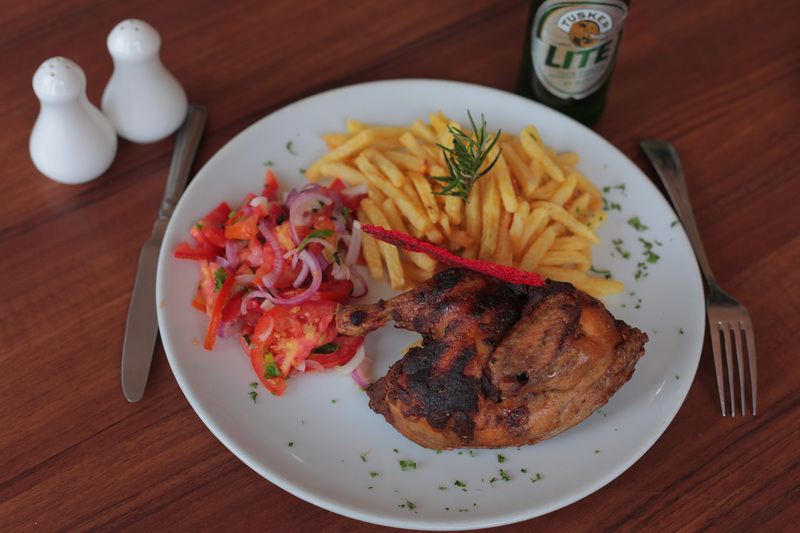 Half chicken with catchumbary and french fries.